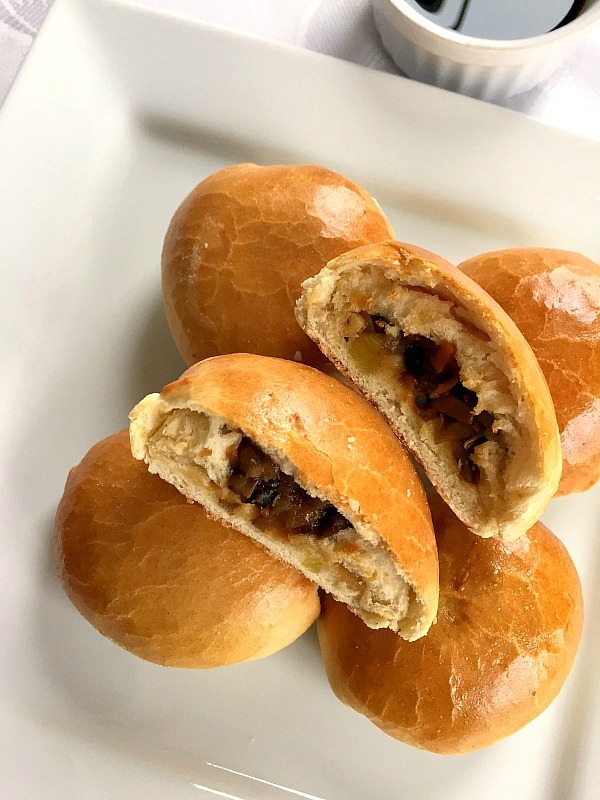 Baked Chinese Buns with Mushroom Filling, a true Asian delicacy. Perfect to serve with a hot cup of green tea, either for brunch or any other meal. If you are looking for appetizers for parties, you are in the right place. If you are familiar with the Chinese cuisine, you will know how popular dim sum dishes are. These perfect bite-size goodies vary from buns, to dumplings, rolls or wraps. Although the steamed dim sum are more common, baking or frying are also popular methods of cooking them. The filling can be anything from pork, seafood, chicken or various vegetarian options. I can’t tell how much l love dim sum, give me any shape or filling, and l’d eat until l pop. So, it does not come as a surprise that l wanted to make some myself. I thought l better start with the easy ones, and these lovely baked buns are absolutely gorgeous. You really have to try these Chinese buns. They are so flavourful, soft, and easier to make than you think. They might not be like the Chinese Buns from China Town, but still. How do you make baked Chinese buns? These buns are super easy to make. Make sure the filling is completely cool before adding it to the pastry, otherwise you get the much dreaded soggy bottom. 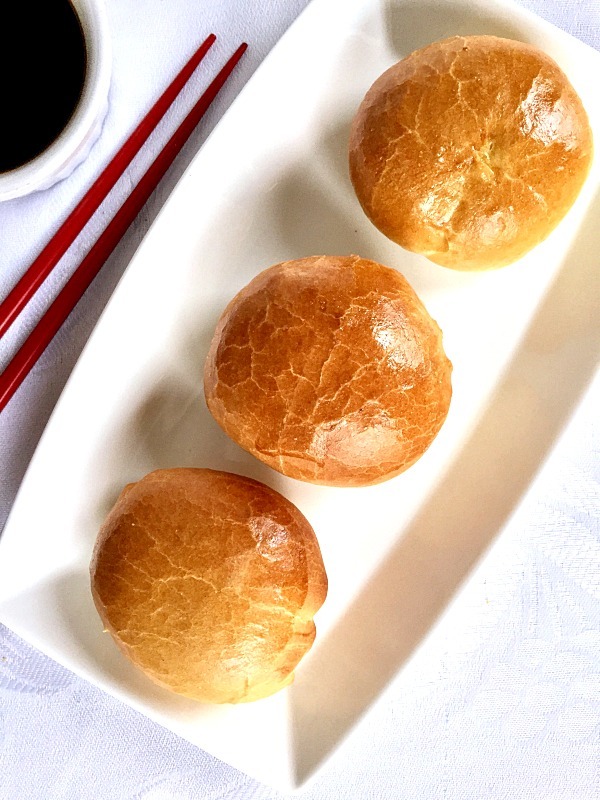 What do you serve the baked Chinese buns with? You can either enjoy them just like that, or make a simple dipping sauce from soy sauce, sesame oil, a pinch of sugar and rice vinegar. This is the simplest, yet the tasiest dipping sauce that goes well with any Chinese dim sum. Chinese food is so tasty, I absolutely love it! And since we talked about Chinese appetizers, although it’s not a dim sum, another great choice for a party are the chicken satay skewers. There is something about that delicate flavour that make Chinese food perfect, and these vegetarian dim sum buns are no exception. Worth a try! 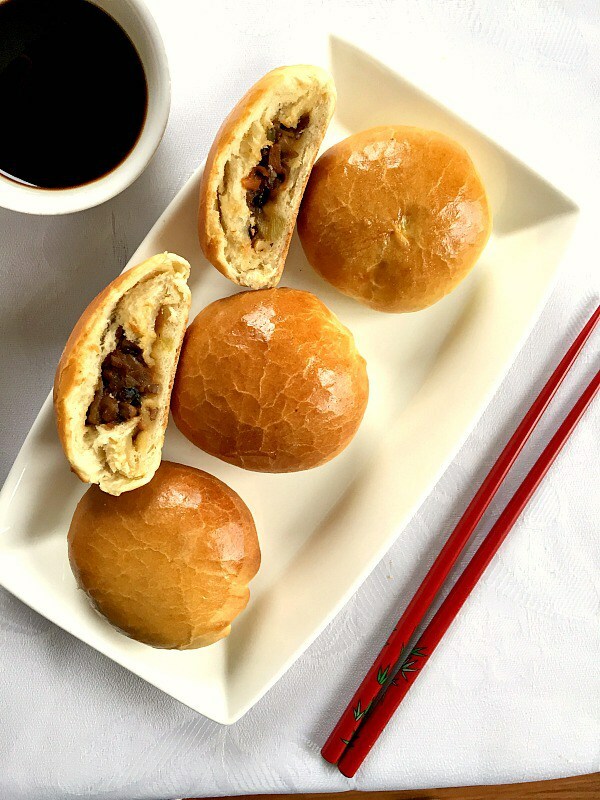 If you’ve tried my BAKED CHINESE BUNS WITH MUSHROOM FILLING or any other recipe on the blog then don’t forget to rate the recipe and let me know how you got on in the comments below, I love hearing from you! You can also FOLLOW ME on FACEBOOK, and PINTEREST to see more delicious food and what I’m getting up to. 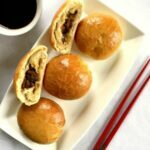 Baked Chinese Buns with Mushroom Filling, a fantastic Asian delicacy. 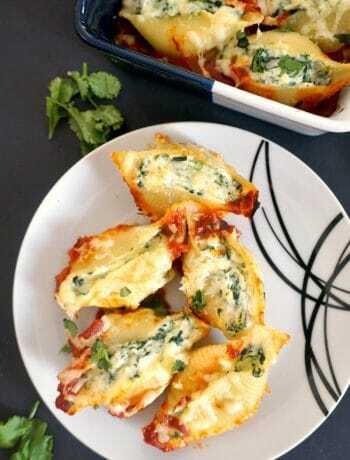 They make a great choice for party appetizers, are easy to make and so fluffy. To make the dough, combine the water, yeast and sugar and set aside for 10 minutes, the mixture will become frothy. In a large bowl, sift the flour, add the yeast mixture, egg, oil and salt and knead well for about 5 minutes, until the dough becomes elastic and does not stick to the hands. Use a bit more flour if necessary. Shape the dough into a ball. Lightly oil the bowl and the dough, cover with clingfilm and a clean tea towel and leave to prove in a warm place for 1-2 hours, until the dough doubles its volume. To make the filling, chop the mushroom finely, peel and grate the carrot and turnip. Heat up the vegetable oil in a wok. Chop the spring onions, garlic clove and ginger, and stir fry for 1 minute. Add the mushrooms, carrot and turnip, and stir for about 2-3 minutes. Mix in the soy sauce, hoisin sauce, sesame oil and fish sauce. Remove from the pan and allow the filling to cool. Transfer the dough to the work surface, roll it so it can have about 1/2 cm thickness, then cut it in rounds of approximately 4-5 cm in diameter. You can use a larger cup to cup the circles. Place a tablespoon of the mushroom filling in the middle of each circle, then seal well with your fingers, and shape into small balls. Preheat the oven to 200 degrees C. (390 degrees Fahrenheit). Arrange the balls on a baking tray, brush the buns with the egg wash mixture and bake for 10-15 minutes until golden. 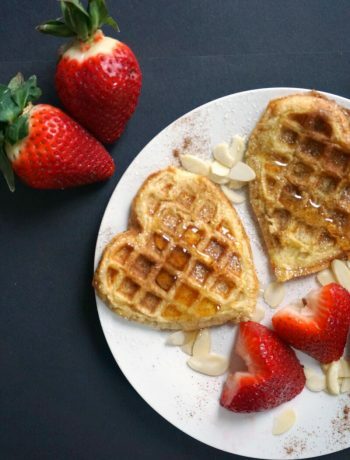 I love these, and your look so yummy! Thank you, Dolly! They are very easy to make, l will certainly make them again!